Bimmerfest is the longest running all BMW car show in the Philippines and is now celebrating its 13th year! The BMW Car Club of the Philippines is the 2016 International BMW Club of the Year Awardee. 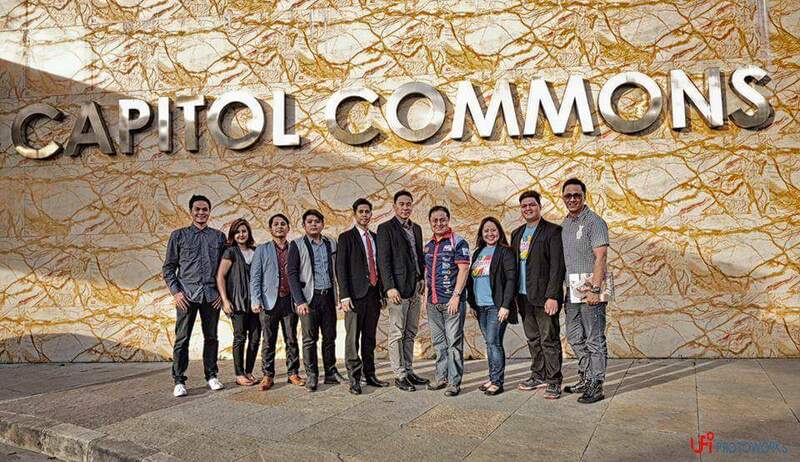 The only official BMW Car Club in the country recognized and a member of the International Council of BMW Clubs AG, an umbrella group under BMW Clubs Asia will hold its 13th annual car show and shine event dubbed as Bimmerfest XIII on December 10, 2016 at Capitol Commons in Pasig City. This whole-day event provides the opportunity for club members to display their pride and passion for the appreciation not only by fellow club members, but the general public as well. This event will showcase the rich automotive heritage of BMW as it features models from the earliest and current range of BMW series to the special M cars. 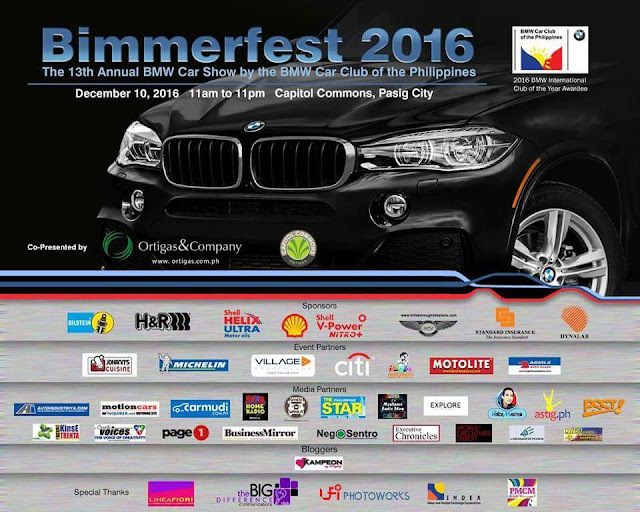 The 13th edition of "Bimmerfest" is brought to you by the BMW Car Club of the Philippines, Shell V Power Nitro, Shell Helix Ultra, Bilstein, H&R, Standard Insurance, Dynalab and Hillsborough Car Spa. Co-Presented by Ortigas & Company / Capitol Commons. Our Event Partners : Michelin Philippines, Citibank, Johann's Cuisine, The Village Sports Club, Motolite, Aguila Glass, Eurovision Car Accessories and Decals, Philgraphics, Philippine Red Cross, Shinagawa Lasik and Aesthetics, Meguiars, Aqua Best and I Flick Photo Booth. Our Media Partners : Philippine Star, Business Mirror, Motion Cars, WhenInManila.Com, AutoIndustriya, Carmudi.com.ph, 97.9 Home Radio, Kinse Trenta Radyo, DWDD Katropa Radyo, Creative Voices, Page One, Astig.PH, World Executives Digest, My Space Radio Show, Executive Chronicles, Voice Master, Psst.PH, Nego Sentro, Explore, Larawan at Kape, Aksyon Sports, Auto Review, Motortech.ph and Travel Life Magazine. Special Thanks To : Linea Fiori Events, PMCM Events Management, The Big Difference Communications, Index and LFI Photoworks. Please register for a chance to win in the hourly raffle. For further inquiries, please call the numbers below.